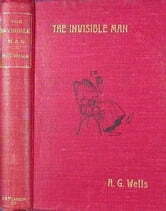 H.G.Wells wrote some insightful and original prose, both in novel form and as short stories. Think of The War of the Worlds, or The Cone. This does not show him at his creative heights. The scant plot is stretched too far. It is nonetheless worth reading. H.G. Wells - probably the best sci fi writer. A fantastic read and always Calls for you to make your judgments on the characters and the situations. What an amazing book to think that the live action has nothing on this when you compare. The true thrill of seeing it all pan out wondering what will happen in your mind is best of all. I've read this at least twice and recommend it very much. Between H.G. Wells and Jules Verne the blueprint for 99% of all subsequent science fiction novels was drawn out. Their stories are, rightfully so, regarded as classics of literature. 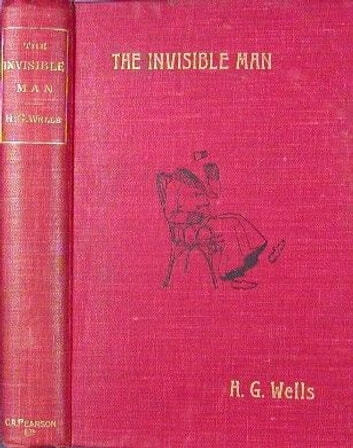 "The Invisible Man" is, like most of his work, a display of HIS fantastic imagination as nobody before had invented such a scenario or possibility. It is also a warning to future scientific endeavour "Be careful what you wish for"! I thoroughly enjoyed reading this book and would recommend it to anybody, particularly those interested in the science fiction genre, this book like much of his other work is where it all began and has been the inspiration for countless imitators ever since.